Charley Fortnum is the Honorary Consul in a small northern Argentinian town. He is old enough to entire, a heavy drinker and an embarrassment to the British Foreign Office. The small town has only two more Englishmen, Dr. Humphries, an English teacher, and Dr. Eduardo Parr, a real doctor. Dr Parr is half English and half Paraguayan, his father was too involved with politics in Paraguay and sent Eduardo and his mother across the border to Argentina. Eduardo hasn’t seen his father since then, and has no idea if he is dead or alive, or a political prisoner. It is the politics which will cause problems for both the Consul and Eduardo. A group of revolutionists makes an error and kidnaps the Honorary Consul instead of the American Ambassador. And as the kidnappers manage to hurt the Consul in the affair, Dr Parr must get involved. 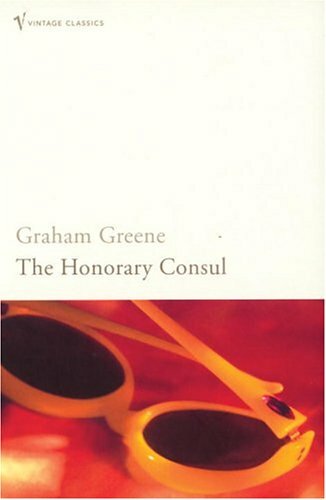 Another great book by Graham Greene. I enjoyed it more than Our Man in Havana, mainly because this book has more developed characters. I felt that I really got to know them. Greene is also an expert on painting the perfect picture of expat-life in South-America. The progress of the story is also very good, and the ending was not what I expected. I’m glad I have more Graham Greene to explore! A young woman goes back to the remote community in Quebec where she grew up to look for her father who has gone missing. She brings with her her boyfriend, Joe, and an other couple, David and Anna. She hasn’t been back for years but nothing much has changed on the desolate island where just her family lived. Going back opens a lot of wounds. The fact that she has been married before and carried a child places a strain on the current relationship. David and Anna have their own problems which surface during the stay on the remote island. The search for the father is unsuccessful and towards the end of their stay she goes feral. This is one of those slow-reading book as there’s much to absorb from each sentence. Reading it was easy in the beginning, but unfortunately for me, I quickened the pace as it got more exciting which made it a lot harder to understand. And then it was too late and I understood nothing towards the end. I had to google it after to check if I had missing out on something (so much easier than rereading the book), and after reading this, I got a little wiser, but still have some questions. 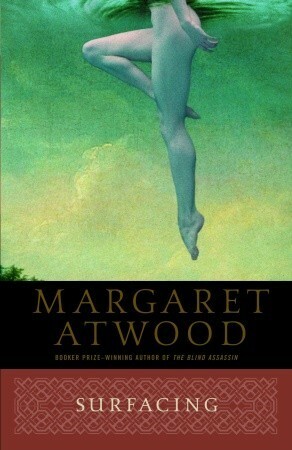 Fourth Atwood, and yes, she is a great read, but not the easiest. I read Oryx and Crake years ago, and there the confusion was at the beginning, but once I got through many pages I understood more and more. Cat’s Eye is one hell of a book, and the Robber Bride was also good. I’m glad there are many other books by Atwood to figure out. 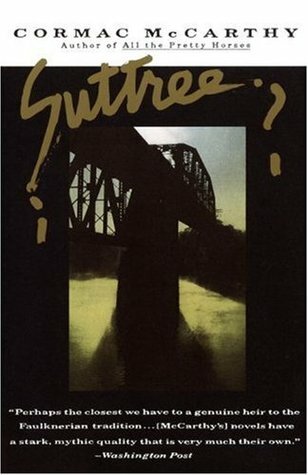 Cornelius Suttree has made his home in a houseboat on the Tennessee River close to Knoxville. He gets by by fishing and spends most of his days either in solitude or with his friends getting drunk. He is also in and out of jail a couple of times. Cormac McCarthy has a wonderful way of telling about the outcasts. I love his language. I also liked how much the river itself is a character in this book. And Suttree does have some weird friends, and the relationships he gets into are not very successful. And although the setting is very grim, there are some very funny parts. Like the boy who got sent to jail for molesting watermelons. I’m glad I have more books from Cormac McCarthy to look forward to reading. Harry, his girlfriend Marion and their friend Tyrone are heroin addicts. Harry and Tyrone get money from delivering newspapers and pawning Harry’s mother’s television set. Marion is spending the money her parents give her for her shrink on a variation of drugs. Tyrone and Harry also try to sell drugs, but they always end up using more than they sell. Harry’s mother, Sara, receives a phone call with a promise to be on tv. She decides to start dieting, but it’s hard when the food is so tempting and comforting. She sees a doctor who gives her diet pills, she is to take four a day, each with a different colour. As the days turn to weeks and weeks to months, the situation for all four is getting worse. Harry, Tyrone and Marion is suffering because of the drug drought and high prizes and Sara is suffering from paranoia and other side effects from the drugs, and is eventually given Valium. 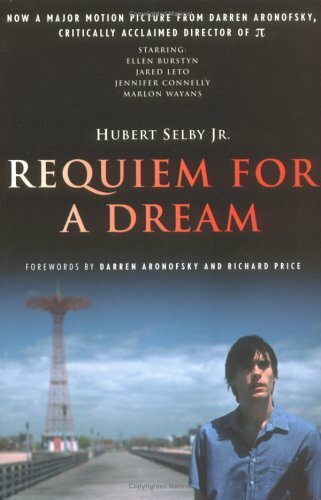 It is definitely not a happy read, the four are doomed from the start and Hubert Selby Jr does a splendid job describing the downfall. The only issue I had with the book is that a great deal of it is written in Bronx slang which made it harder to read and the teacher in me wanted to find a red pen and mark all the spelling and grammar errors! Having seen the film more than once, I actually prefer it to the book. It could be because the film has a few happy moments while the book is very bleak. 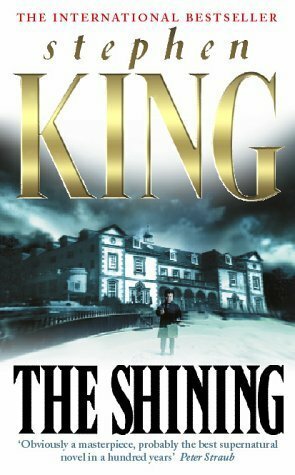 I also like that the book is so timeless, it didn’t feel like it is over 30 years ago since it was written. Lady Edgware, a famous actress who left her husband years ago, asks Hercule Poirot for assistance. She wants a divorce so badly that she utters that she will even murder him. And then the murder happens, and witnesses say they saw lady Edgware at the scene, but she has an alibi. Hercule Poirot receives a letter warning him of a murder in a town called Andover. After the murder happens, he receives another one, warning of another murder in the town of Bexhill-on-Sea. Will Hercule Poirot catch the murderer before it’s too late? Poirot receives a letter from an old lady who believes she has had a narrow escape from death. When Poirot and Captain Hastings go to investigate, they learn that the lady passed away months ago. The lady has also changed her will just before dying, and everything went to her companion and not her relatives. Captain Hastings and Hercule Poirot, now a cripple and on his deathbed, have returned to Styles to solve a final mystery together. 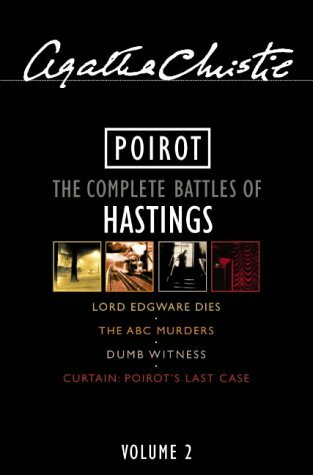 These four stories can be found in the Complete Battles of Hastings volume 2 omnibus. Having read the last of the Poirot stories, I feel kind of sad. Hercule Poirot (and Captain Hastings) has been a great companion for a long time. I am still shocked over how things ended in Curtain, but at the same time that’s the first time Agatha has disappointed me. I have been trying to compose a list over my favourite Poirot stories, but that has proven to be impossible; I seem to get a new favourite every time. A black man is found dead on Mehring’s farm and none of his boys know who the man is. Because he is black, the police doesn’t care and they bury the body right there because they can’t take it with him. The start of the book was easy to follow, then it all got in to a blur. Someone’s thoughts are all over the book, I was guessing it was the farmer, but then at the end I was no longer sure and I can’t remember the last time I read a book that made me this confused. And I don’t like reading books that I do not get, but because this was a part of Ann Helen‘s reading circle, I didn’t throw it away, although I should have. 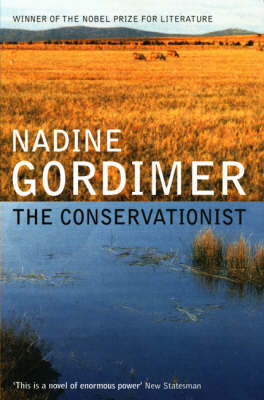 Nadine Gordimer won the Nobel Prize in 1991 and she was brave for writing about the apartheid at the time it was going on and many of her books were banned in South Africa. The apartheid is present in this book as well as it deals with the relationship between the white farmer, his black workers and the Indian shop owner nearby. And the setting and the first part of the book are interesting, but there’s no continuity in the story and it is too full of someone’s bloody thoughts and memories for my liking. But at least I can cross another Nobel Prize winner off my list. I also have July’s People in my bookshelf, but I won’t be picking that one up in the near future. Hercule Poirot has a young girl waiting for him in his office, when making the appointment she said “I think I have committed a murder” to Ms Lemon, his secretary. But when she sees Poirot, she says that she cannot tell him because he is too old. Despite being very offended, Poirot decides to get to the bottom of this case, even if the girl refuses to cooperate. Together with Mrs Ariadne Oliver he gets to the truth. This story is written in the 1960s, and it is weird having Poirot in the same time period as the Beatles, LSD and computers. But the plot in this one is truly awesome and I really enjoyed reading this one. Mrs Ariadne Oliver is visiting a friend on the country side when a child is found murdered at a Hallowe’en Party. The child had said that she had witnessed a murder shortly before she herself was murdered. Mrs Oliver calls up Hercule Poirot and together they do not just solve one murder, but several. Mrs Ariadne Oliver is asked the strangest question concerning her god-daughter at an event; Did her mother kill her father or was it the father who killed the mother? The couple had been found shot and the investigation at that time concluded with double-suicide. With the help of Mr Poirot, Mrs Oliver starts looking for clues among her friends for a tragedy that happened fifteen years earlier. And the truth is more spectacular and tragic that anyone could guess. An old Catholic priest is found murdered and in his shoe a list of names is found. When Mrs Oliver is told the story of the peculiar findings, she recognises one of the names on the list and says that the woman died recently of an illness. Her friend, Mr Easterbrook also recognises some names, also dead persons, and they start to look into the case. Mr Easterbrook quickly discovers that the clues lead to an old inn, the Pale Horse, that is now inhabited by witches. This story doesn’t involve Mr Poirot at all, and it was written in a different style than the rest of the novels I have read by Agatha Christie. Confusing in the beginning and no surprises at the end when it is all solved. But it is brilliant and I really enjoyed reading it. All these novels are found in the Complete Ariadne Oliver volume 2 omnibus. I really grow fond of Mrs Oliver and is sad that there are no more stories concerning her.